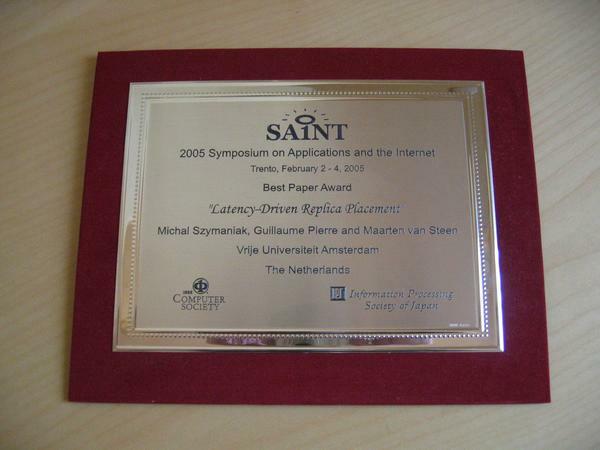 Source: IEEE International Symposium on Applications and the Internet, February 2005 (best paper award). The paper as in the Proceedings, in gzipped Postscript (85,714 bytes). The paper as in the Proceedings, in PDF (112,328 bytes). The presentation slides, in PDF (871,501 bytes). See also: the journal version of this paper.